Full FramePak when you need, HalfPak when you want. Utilizing a bolted-in lower section that mounts to the existing H2O frame mounts as well as the under belly of the HalfPak. 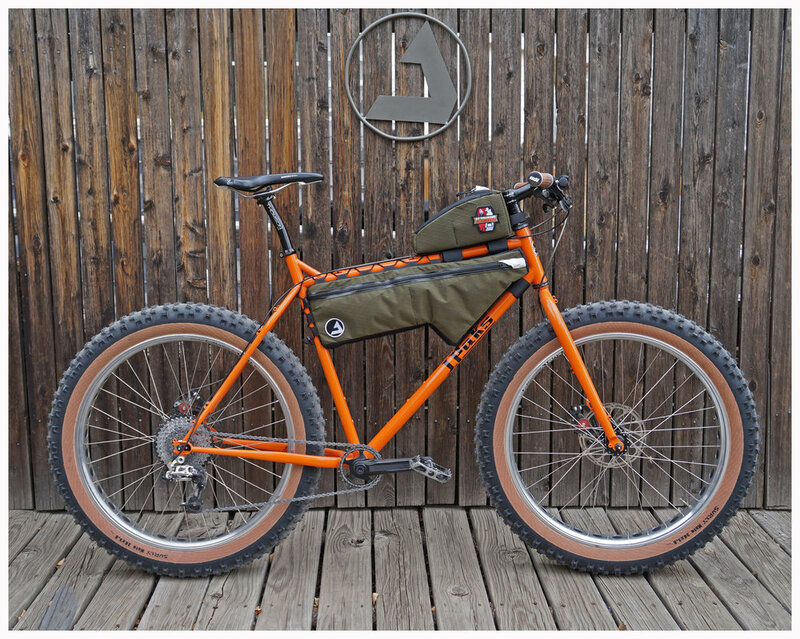 The system allows you to have the most flexible frame bag arrangement out there. Bolted-in lower section, combined with the HalfPak creates a massive amount of storage for extended trips or longer excursions. Items placed in the upper half are kept isolated from the lower section allowing you to carry a hydration bladder in the top and food items below. Shorter trip, weekend jaunts? That calls for the HalfPak. 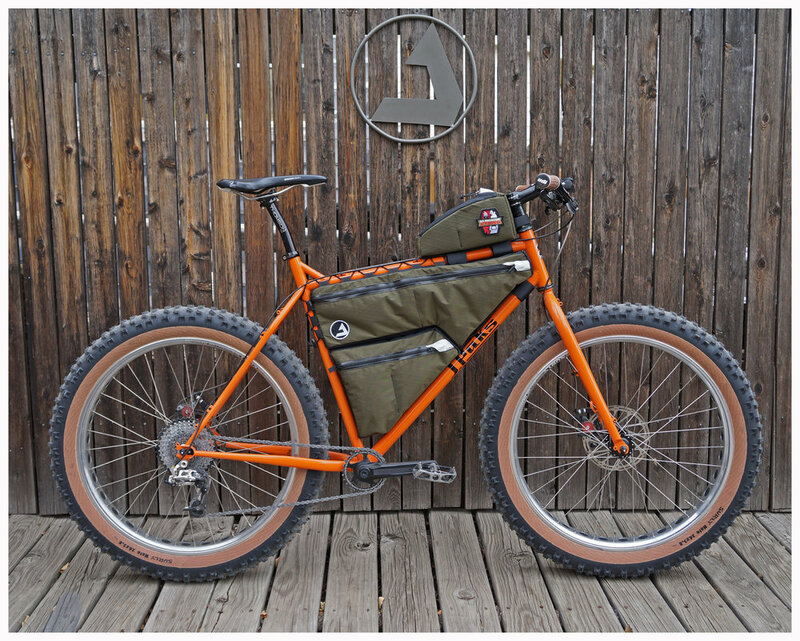 The size and shape allow the use of water bottles on the frame mounts and the ability to carry necessities in the frame bag. Just enough storage without being too much. The ModPak is very bike specific, especially concerning water bottle clearance with the upper HalfPak.